Stormwater -- for some reason it's difficult for a lot of folks to make the connection between what's on their roads and lawns and what ends up in the Bay. I think a lot of people see storm drains on their streets but don't really think about them. Well, Baltimore radio reporter Joel McCord had an excellent piece on WYPR 88.1 FM this morning that creates a clear picture of why storm drains and stormwater are keys to a clean Bay. Listen online at WYPR.org. The sounds and stories of the Bay are now as close as your laptop. CBF has entered into a partnership with WYPR 88.1 FM, the public radio station in Baltimore, to produce a series of monthly podcasts called Natural Maryland. The podcasts will feature stories that highlight the diversity of the Bay, both biologically and socially. The first podcast, Nature's Bounty, has been posted on wypr.org. It explores in rich detail the annual drama of the horseshoe crab spawning on the Delaware Bay. For anyone who hasn’t been knee-deep in mating horseshoe crabs on a starry night in the shallow waters off Pickering Beach, Delaware, download the experience from WYPR. Jonas said her next podcast will be a trip with CBF naturalist John Page Williams to witness a stretch of the Severn River that captures both the hope and the tragedy of the whole Bay. Stay tuned, er, connected. To download the Natural Maryland podcasts, visit the Podcast page on WYPR's website. Scroll down the page to see the Natural Maryland series. Ever wonder what it's like to be a Chesapeake Bay crabber? Join WYPR's Joel McCord as he heads out on the water with Mark Kitching, a waterman from Smith Island. 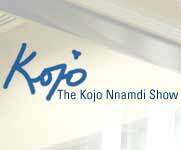 You can catch Will Baker's interview with Kojo Nnamdi here. Note: The Chesapeake Bay segment is the last one of the hour, so when you open your audio player, advance to the 39:58 mark (click on image for larger view). Will Baker, president of the Chesapeake Bay Foundation, will join host Kojo Nnamdi at noon today on "The Politics Hour with Kojo and Jonetta" on WAMU 88.5FM in Washington D.C.
From Kojo's website -- "Politicians love to talk about cleaning up the Chesapeake Bay. But every political season, it seems that bold talk rarely translates into bold actions. (On today's show) we consider the politics of pollution in our region." If you can't listen on the radio, the podcast should be available about an hour after the show ends.